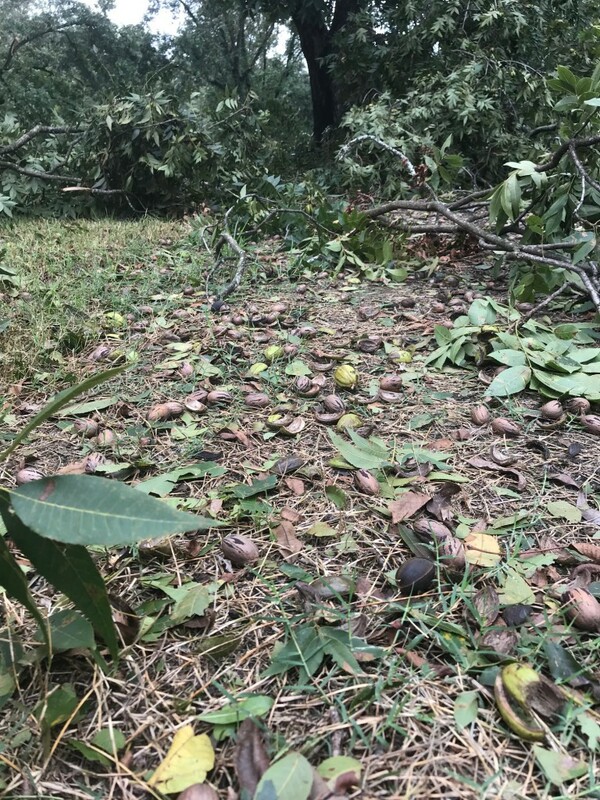 As we have continued to assess the damage from Hurricane Michael we are beginning to get a clear enough picture to place numbers on the lost acreage, trees, and dollar values for Georgia pecans. We currently estimate a loss of 27,455 acres of pecan trees, which translates to a loss of approximately 17% of Georgia’s pecan acreage. The total number of trees lost is estimated at 741,285 trees. We also estimate the value of loss to the current crop of Georgia pecans at $100 million. The tree loss is valued at $260 million and the loss of future income is valued at $200 million. This results in a total loss of $560 million to the Georgia pecan industry from hurricane Michael. One of the major shifts it appears that we will see resulting from the storm’s damage will likely be in the varieties of pecan grown in Georgia. One of Georgia’s most popular pecan varieties is ‘Desirable’, which is a favorite of both the gift pack and export markets due to its large size and high quality. There was a high percentage of Desirable pecans grown in the Dougherty/Lee/Mitchell County area, which has suffered some very severe losses. Many growers in the Dougherty/Lee/Mitchell County area do have enough trees left to continue with their pecan farming operations and most of those are planning to replant their orchards. However, due to the difficulty of growing ‘Desirable’ in the warm, humid climate of southwest Georgia, most growers are choosing to plant the orchards back with other cultivars besides ‘Desirable’. This could generate a relative shortage of the ‘Desirable’ crop in the future as growers shift to more scab resistant varieties which they can grow more easily and at a lower cost. In the wake of the storm, many pecan nurseries are quickly selling out of trees for the 2020 tree crop. For crop insurance purposes, I am hearing from crop insurance agencies that if growers are going to be able to harvest their crop, they can proceed with cleanup. However, if they are not going to be able to harvest, growers need to wait until an adjuster has been contacted and the damage is documented before cleanup begins. I know many growers on both sides of this have already started to clean up but they should contact their insurance representative as soon as possible to make sure they have everything documented correctly.